Could an asteroid be turned in to an interstellar spacecraft ? Researchers have put forward the idea of hollowing out an asteroid and using it to travel between the stars. It might sound like something out of an Arthur C. Clarke novel, but the idea of using asteroids as frameworks for multi-generational interstellar ships could actually have some merit. Known as the Evolving Asteroid Starship, the concept was devised by the TU Delft Starship Team - a group of students and researchers who share a passion for interstellar spaceflight. Given the amount of time such a journey could take, long-term sustainability would be crucial. "We need self-sustaining and evolvable space technology capable of enduring the many decades needed to journey from our Solar System to another," said team founder Angelo Vermeulen. "As part of that, we are looking at the kind of regenerative life support system pioneered by the ESA-led MELiSSA (Micro-Ecological Life Support System Alternative) program." The team has also suggested that the ship would need to act almost like a living organism. "A starship therefore also needs to be capable of evolving," said Vermeulen. "After all, returning to earth to tackle problems, as we saw during the subsequent missions towards the moon, is out of the question. The ship needs to be able to behave like a living organism that uses raw materials available in space, such as asteroids." "These can be exploited for fuel and building materials, for example." Awesome topic Johnny and thanks for sharing! This has been discussed a lot and has even been asked about the moon. 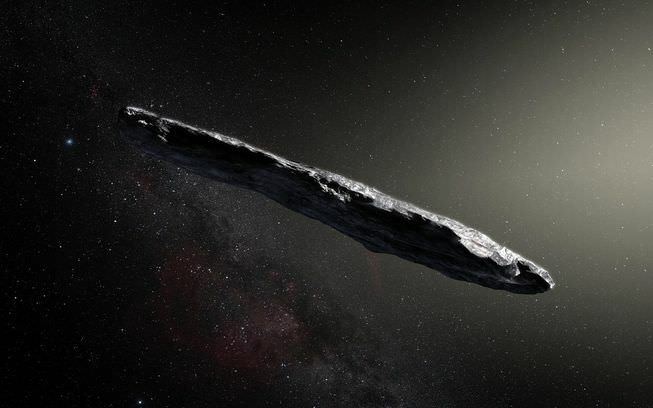 Did you ever hear about the Cigar shaped asteroid that was detected? Here's another link regarding this. I found it so interesting how they were discussing and talking about it at the time. In regards to the moon being a potential "ship" check these links out. Some people have been discussing whether the moon is hollow. Very interesting stuff. I can dive down that hole for hours, it is very interesting to read about and look into.